"Our mission statement to guide and accelerate the adoption of electric transportation in all its forms in the most cost effective way providing maximum benefit to the citizens of Texas" stands on its own whether or not you accept that mankind is changing the climate. Moving to a transportation future that is unified with the stationary generation grid just makes good sense with or without the issue of climate change. But of course, there is climate change and the new IPCC report is pretty blunt. Here is my deep edit on the actual report from the IPCC. “Human activities are estimated to have caused approximately 1.0°C of global warming above pre-industrial levels. Global warming is likely to reach 1.5°C between 2030 and 2052 if it continues to increase at the current rate. Reflecting the long-term warming trend since pre-industrial times, observed global mean surface temperature for the decade 2006–2015 was 0.87°C higher than the average over the 1850–1900 period. Estimated anthropogenic global warming matches the level of observed warming to within ±20%. Warming greater than the global annual average is being experienced in many land regions and seasons, including two to three times higher in the Arctic. Warming is generally higher over land than over the ocean. Trends in intensity and frequency of some climate and weather extremes have been detected over time spans during which about 0.5°C of global warming occurred. So the good news is we have not cooked ourselves yet. Of course the operative word here is YET. And in the spirit of the country western song where falling feels like flying for a little while, good news this bad is hardly worth celebrating. Because the Bad News is we really have to be good from now on or we won't be just cooked, we'll be well done. Avoiding the most serious damage requires transforming the world economy within just a few years, said the authors, who estimate that the damage would come at a cost of $54 trillion. But while they conclude that it is technically possible to achieve the rapid changes required to avoid 2.7 degrees of warming, they concede that it may be politically unlikely." 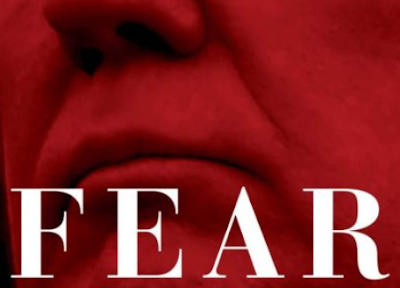 For most of the month after this shattering pronouncement, the leader of the so called free world stoked the fires of fear with his subjects by proclaiming that a dangerous army of women and children fleeing climate change and the politics of fear were invading our borders. As they walk from their Central American homes and villages, he sends 5,000 troops to the border. In Bob Woodward's new book Fear, Woodward reports that our fearless leader 's response to the question of "what is power" was FEAR. Creating fake fear while ignoring real danger is crazy. I need a Make America Sane Again hat. We can no longer afford the only practical and economical way to sequester excess atmospheric carbon. Modern science shows restoring depleted rangeland by instituting proper grazing methods can accommodate all excess into the soil. It is no longer simply a matter of reducing emissions, but rather, urgent to remove excess carbon from the atmosphere as well. The present system of using fossil fuels to create nitrate fertilizers was created to rescue the nitrate industry after ww2. Carbon trading can allow ranchers who restore their soil to be compensated, making grass fed beef cooperative with the massively subsidized corn fed beef industry. In five years we could turn it all around. Making beneficial grass fed beef competitive with corn fed, which is so destructive to the environment.